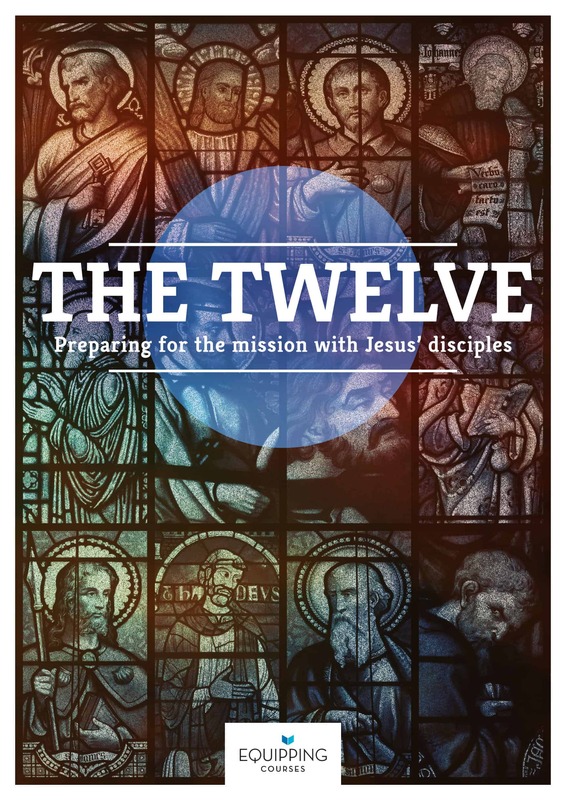 Download The Twelve study guide – a collection of edited transcripts of our preaching series on the twelve disciples, including study questions. 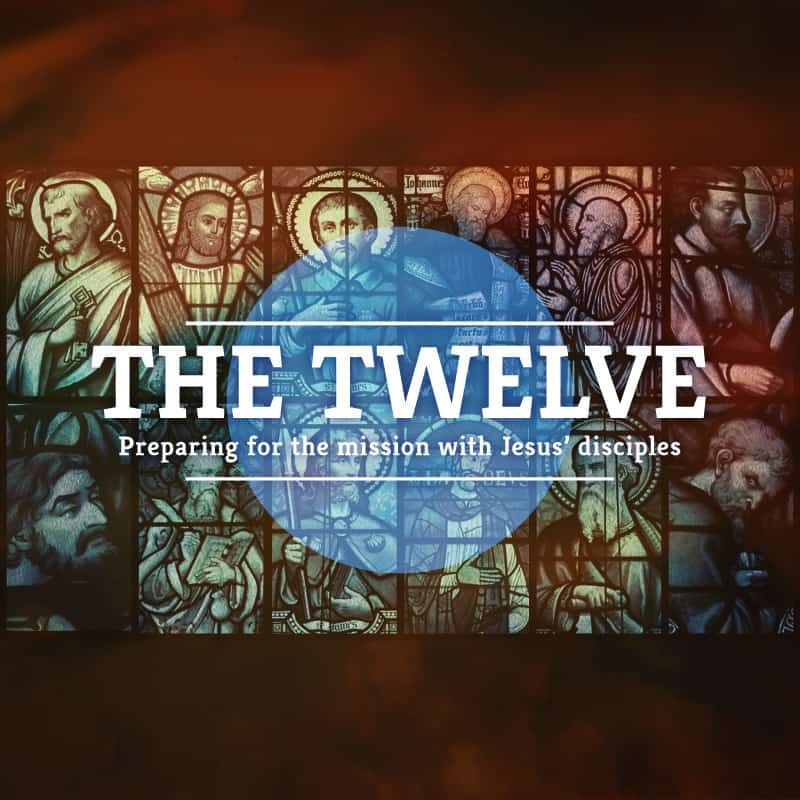 This is based on a series where we looked at the lives of Jesus’ disciples and focused on how Jesus discipled them, with the view of applying Jesus’ discipleship process into our context today. Printed copies available on demand for R30 a copy – contact the office to order. Death: He was never martyred according to tradition. He died in Ephesus around 98AD. Died as an old man, outlasting the other disciples. General facts: According to many interpretations, he was, for a time, a disciple of John the Baptist and was called by Christ from the circle of John’s followers, together with Peter and Andrew, to become Jesus’ disciples (John 1:35-42). 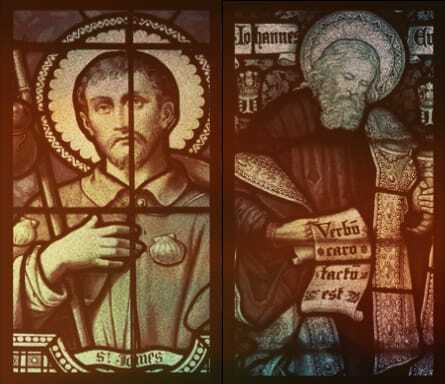 The apostle John also is credited with writing five books of the New Testament: the gospel according to John, 1 John, 2 John, 3 John and the book of Revelation. Hometown of origin: Came from the little fishing town on the North coast of Galilee called Bethsaida. Profession: Fisherman, in partnership with his brother, Peter and their friends, James and John. Age: Unknown. Probably younger than Peter. Best remembered for: Introducing people to Jesus; Peter his brother, the boy with the fish and loaves of bread and some Greeks. Social status: Unknown. Perhaps slightly higher than others if his low opinion of Nazareth is considered. Position amongst the 12: Seems to have been friends with Philip. General facts: Andrew is not a startling character: there is no dash and activity like Peter, no strong determination and unpredictable character like James and John, and no dramatic conversion like Matthew. He appears to be quiet, thoughtful, persistent and unassuming – but his work was vital. He brought his brother to Christ and little realised what far-reaching results that would have. In fact, he seems to have learnt from John the Baptist that the most important task in life is not to make a name for oneself, but to bring people to Jesus: his brother, a little boy with some bread and fish, and a party of Greeks. There are no impressive exploits, no crowds following him, no miracles recorded and no great preaching. But through Peter, thousands heard of Christ and millions have read his letters, through the young boy thousands were fed from one of Christ’s most outstanding miracles, and through the Greeks our Lord finally revealed his purpose to reveal himself to the whole world as its only light. Ministry after the ascension: According to Hippolytus (an early church father from Rome):, Andrew preached to the Scythians (modern day Georgia) and Thracians (modern day Bulgaria, both Georgia and Bulgaria are adjacent to the Black Sea near Turkey). Death: He was crucified, suspended on an olive tree, at Patrae, a town of Achaia (Greece); and there too he was buried. Name: Nathanael or Bartholomew. Nathanael means “gift of God”. Profession: Unknown. Perhaps a fisherman. He was fishing with Peter, James and John and three others on the Sea of Tiberius when Jesus appeared to them after his resurrection, resulting in the second miraculous catch of fish. Age: Unknown. Probably young. Most sources say Peter or James were probably the oldest of the 12, being between 20 and 25 years old. It is quite possible that he was still in his upper teens or low twenties. Best remembered for: Being introduced by Philip to Jesus. Being seen under a fig tree. Position amongst the 12: No significance. General facts: Often mentioned with Philip. Was skeptical about Jesus being the Messiah because he came from Nazareth. He obviously had a low opinion about Nazareth. Ministry after the ascension: Initially in Jerusalem and then we have no sure Biblical account. Tradition puts him in various places, including having traveled to India, Mesopotamia, Armenia, Parthia, Ethiopia and Lycaonia. He is said to have converted Polymius, the king of Armenia to Christianity. Death: Traditional accounts claim that he was martyred in Albanopolis in Armenia. Some say he was beheaded others that he was flayed alive and then crucified upside down. When we look at Andrew and Nathanael, what we want to highlight is that it’s about learning to become Christ followers. In this series there are two things God is putting his finger on: character and mission. And as we look at these two disciples we see how God developed their character. Marital Status: Home town and general facts: Bethsaida, the city of Andrew and Peter. He was called by Jesus to follow him the day after Peter and Andrew. Death: A second century Ephesian tradition believes he died at Hierapolis, roughly one hundred miles inland of Ephesus. Another tradition says Philip was crucified; and as a result, medieval art often depicts Philip on the cross. Profession: Unknown. Possibly a fisherman. He was fishing with six other disciples (Peter, James, John, Nathanel and 2 others that are unnamed) on the Sea of Tiberias after Jesus’ resurrection when Jesus appeared to them. The second miraculous catch of fish happened and Jesus cooked them breakfast. It seems as though these men had gone back to their old job in the absence of clear direction from Jesus after his resurrection. Hometown: Unknown. Traditionally somewhere in Galilee. Post-ascension ministry: There are many different accounts but they generally seem to agree that he first travelled through the near east: Turkey and Iran (Persia in those days) before reaching India sometime between 49AD and 52AD. He is generally credited with being the first to take the gospel to India, and beginning the church which then became the Orthodox church in India. His time in India is surrounded with legend with claims that he ministered to kings, built many great buildings, and evangelised a great many people. Historical evidence does seem to indicate that the orthodox churches in India (including southern India) are old enough to make the spread of the gospel there in the first century plausible. Certainly Christianity is one of the oldest religions in India – older than Islam. Death: Most traditional accounts claim that he was martyred in India sometime about 72AD, possibly at Mylapore near Chennai. There is a tomb in Chennai which is claimed to be the tomb of Thomas. A catholic church, San Thome Basilica, was built over this tomb in the 16th century. Other traditional accounts claim that he was martyred in Persia. Still others claim that he died a natural death in Edessa. The last account is an account from the explorer Marco Polo from the 13th century: he claimed that Thomas was accidentally killed by an arrow near Chennai – he claimed that the arrow was shot by a man hunting peacocks. Other names/nicknames: Possibly ‘James the Less’ or ‘James the Younger.’ This is a result of a possible correlation with the James referred to in Mark 15.40 who may or may not also be the James (the son of Mary) referred to in Luke 24.10 and (more probably) Mark 16.1. Meaning of nickname: The Less would probably have referred to a younger age or a shorter height – not importance or status. Best remembered for: Being one of the 12. Relatives: Possibly the brother of the apostle Matthew (Levi) who is also referred to as the son of Alphaeus. Otherwise unknown. Some dubious traditional sources claim he was a member of Jesus’ family – usually his brother, half-brother or cousin. Post-ascension ministry: Very little known. Death: Tradition maintains that he was martyred by crucifixion in Lower Egypt at Ostrakine. Name: Jude, also know by several other names: Judas (not Iscariot) and Thaddeus. 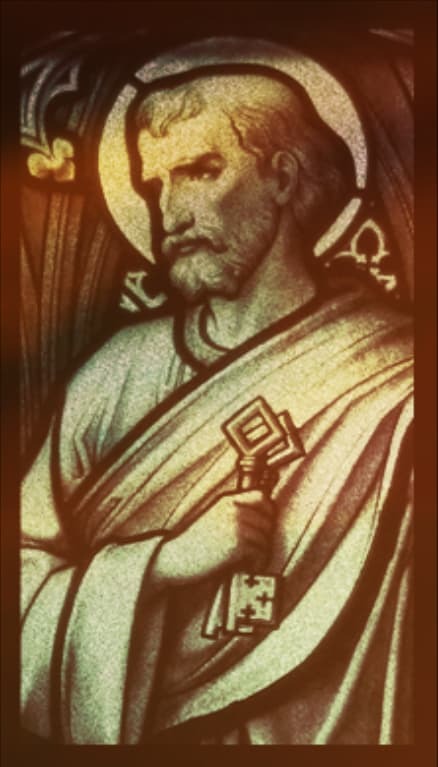 In lists of the Twelve, he is called Thaddeus, a surname for the name Lebbaeus (Matthew 10:3, KJV), which means “heart” or “courageous.” He wrote the book called Jude in the New Testament. Death: He was crucified at Edessa, A.D. 72 while on a missionary trip to Persia, according to tradition. As elders we feel that, as a church, we are called to be followers of Christ, and that’s what the disciples were. They learned Jesus’ trade, which was to seek and save the lost. We don’t know much about these four disciples. When it comes to Peter, James and John we see them often encouraged and rebuked and a lot of scripture is around them. It’s been difficult finding things about these four men, we’ve had to look at church history in a big way for this one, to see how they influenced the world. Name: Judas Iscariot – Judas means praise or God leads. Home town: Kerioth. The Hebrew word for Iscariot means ‘man of the village of Keriyyoth’. Kerioth was about 25 km south of Hebron, in southern Judea, Israel. Judas was from the tribe of Judah, the same as Jesus. Social status: Unknown, but again from unreliable sources, these state that he must have been an educated man to be trusted as the treasurer. Personality: Devious, underhanded, sold out to money and greed, despicable, a coward, untrustworthy, hypocritical, a disappointment and a betrayer! Best remembered for: Selling Jesus out for 30 pieces of silver, and betraying Jesus with a kiss. Death: After realising what he done to Jesus, he hung himself. There is not much information we have on Matthew from reliable sources, outside of a few biblical references. Profession: Tax collector (publican). The tax collectors were as a class, detested not only by the Jews, but by other nations also, both on account of their employment and of the harshness, greed, and deception, with which they did their job. They paid the taxes to the Roman authorities up front, and then extorted from the people way more than was due to them. Rightly so, they were especially despised by their own nation! Personality: Because of his profession as a tax collector, Matthew was probably an accurate record keeper and keen observer of people. In today’s terms he was a ‘bean counter’ with sly tendencies. But he became a Christ-follower! Position amongst the 12: There are no mentions of Matthew in the Gospels outside of his call and on the list of Jesus’ disciples. But from Jesus choosing opposites on His team, a tax collector and zealot, we infer that there must have been a need to work out their relationships. Ministry and death: Tradition has Matthew spreading the Gospel in Persia and Ethiopia. Unconfirmed historical sources disagree about Matthew’s martyrdom. One source has him stabbed to death somewhere in Ethiopia, while preaching the Gospel there. There is even less information about Simon the zealot, except for his mention in the list of apostles. Home town: he is referred to as Simon the zealot (Luke 6:15; Act1:13), or Simon the Canaanite (Matthew 10; Mark3:18). He probably stayed somewhere in Galilee, because the Zealot movement was based there. Profession: Unknown, but he was a political activist, wanting to see Israel restored to its own rule. This obviously ceased after he was called by Jesus. Social status: According to traditional accounts and drawing inference from his name, we believe he was probably a member of the Zealot sect which was alive in Galilee and Judea around the time of Christ. The Zealots were a fanatical religious sect, very similar to the Pharisees (religiously conservative and literal) but absolutely radical in their opposition to Roman rule to the point of terrorism. Therefore, there was potential for conflict between him and Matthew! He probably initially had a fairly conservative and literal religious outlook, having been a member of the Zealots – Pharisaical in nature. He would have been a ‘Pharisee’ in his religious views before coming to follow Jesus. Personality: Presumably radical and an extremist – zealous. His name, ‘Zealot’ possibly referred to both his personality and his membership in the Zealot sect. General facts: We know nothing of Simon’s interaction with Jesus or the other disciples. We infer certain things, and rely heavily on inaccurate history! Position amongst the 12: No significance. He is mentioned 11th in the Matthew and Mark lists of the apostles, and 10th in Luke and Acts. It’s not clear whether the order of these lists have any significance although they are very similar in all accounts. Ministry and death: Initially in Jerusalem and then we have no sure Biblical account. Tradition puts him in various places, including having traveled north to reach the British Isles, in Egypt, in Asia Minor (Turkey), and in Persia. It is unlikely that any of these accounts are probable. There are no reliable accounts of his death. He possibly died in Pella, Armenia or Suanir, Persia or Edessa, Caistor or Babylon, Iraq. Probably martyred, possibly crucified. We’ve put Simon and Matthew together because they couldn’t be more different. They were at opposite ends of the spectrum in their ideologies, value systems, and much more. Matthew was a tax-collector and therefore worked for Rome, Simon was a zealot and therefore hated Rome. Matthew was hated by the Jews and Pharisees, Simon was loved by the Jews and Pharisees. Simon was a political freedom fighter (that’s what the zealots were) while Matthew was seen as a traitor – so much so that the words “tax-collector” and “sinner” were synonymous terms. Simon wouldn’t mind putting a dagger into someone’s back while Matthew was sneaky and underhanded. Name(s): James and John. Jesus nicknamed them ‘Boanerges’, the sons of thunder. Relatives: Zebedee was their father, Salome was their mother. Social status: Uneducated and had a fishing business with their father, and in partnership with Peter and Andrew. The fishing business was considerable as they owned several boats and employed servants (Luke 5:11; Mark 1:20). Personality: Both brothers were loud, passionate (at times over the top), eager, fervent, forceful, self-centred. General facts: We know little of James’s interaction with Jesus, except those incidents with his brother. John was intimately associated with Jesus; he was the disciple whom Jesus loves John 13:23-2, John leaning on Jesus John 21:20. When Jesus was on the cross, He committed His mother to the disciple He loved, John (Luke 19:26-27). John is also credited with five books of the bible, the Gospel of John, 1,2 and 3 John and Revelation. These brothers, like with Peter and Andrew, left everything to follow Jesus! Position amongst the twelve: Along with Peter, the brothers were part of Jesus’ smaller ministry team. He would select this smaller group to accompany Him, exposing them to more than the rest of the disciples, because later they would play leading roles in the church. The healing of Peter’s mother-in-law (Mark 1:29), at the raising of Jairus’ daughter from the dead (Mark 5:37), at the transfiguration (Matthew 17:1; Mark 9:2; Luke 9:28), with Jesus in the garden of Gethsemane (Matt 26:37; Mark 14:33). Jesus prepares these three uneducated, but passionate fishermen for three very different leadership roles in the church. Herod wanted to destroy the church, he would not have gone after James if he wasn’t a threat. The influence he had was known by the Jews, so much so that it pleased them when Herod killed him. It seems like James had a prominent leadership role amongst the twelve. James was the first to die, John the last. John was never martyred, he died as an old man in Ephesus around 98AD, after having being exiled to the island of Patmos, because of his faith. 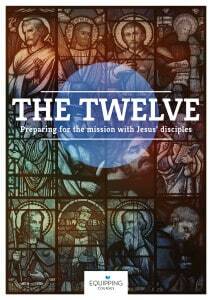 In this series, we’re learning how to be Christ-followers by looking at the lives of Jesus’ twelve disciples. We integrate into a local church to become Christ-followers. It would be sad if we would become followers of the leaders here and not followers of Christ. You might recall that Paul rebuked the Corinthians for being followers of Apollos and Paul and forgetting about Jesus. Leaders may have a part of your life but we need to be desperately following Jesus. We’re looking at the disciples and seeing their humanity and watching how Christ dealt with them and transformed them. This then points to what we can expect and how we can develop the right character, and develop the mission, in our lives. This time we’re looking at James and John, labelled the Sons of Thunder in the Scripture (or the Sons of Zebedee). See their bio posted above. Why were they called Sons of Thunder? Because they seemed to be loud-mouths, always having an opinion. And look at their age – James was probably around 18 years old! In Cornerstone, we’ve ordained an elder of 19 years old and we got a lot of flack for it. But God is bringing us young guys and girls and we want to release them into ministry! Why should we wait? When God gets hold of a life, it doesn’t matter the age. Home town: Bethsaida, a town on Lake Ganesaret in Galilee (exact location unknown, possibly the north shore). The apostle Philip also came from this town as well. Relatives: Andrew, his brother and his mother-in-law are mentioned in the scriptures. Personality: Extroverted, brusque, abrasive, loud, enthusiastic, impulsive, resolute, eager, bold, aggressive and outspoken. Peter is noted for being somewhat brash. He was quick to speak and share an opinion. He was quick to act and sometimes slow to think. He was susceptible to external influences and intimidated at times. But Peter really did love Jesus. Social status: Uneducated in the Mosaic Law but seemed to have a reasonable fishing business with his brother (Andrew) and partners (James and John the sons of Zebedee). He seemed to have owned his own boat and it appears as though he owned a house in Capernaum as well. General facts: Spoke Aramaic but also had an accent that clearly identified him as a Galilean; was ‘unlearned’ i.e. he had no additional religious or scriptural instruction; was a disciple of John the Baptist, and was one of the three apostles closest to Jesus. Position amongst the twelve: Although not named as a leader, Peter certainly seems to be the apostle that was most apparent amongst Jesus’s followers (his name is mentioned about 110 times in the gospels). His name is mentioned first in all the lists of the Apostles. Jesus seemed to have a closer relationship with him together with James and John and these three would often be called out by Jesus to go somewhere or do something that the others were not invited to (Example: the transfiguration and the Garden of Gethsemane). After Christ’s ascension, Peter appears to take a position of leadership, quickly becoming the spokesman for the group, and the other disciples seem to follow without resistance. Death: He was martyred as prophesied by Jesus. Early church tradition claims that Peter was in Rome in the last phase of his life and that he was executed by crucifixion (upside down, with arms outstretched) at the time of the Great Fire of Rome of the year 64, during the reign of Emperor Nero. Most scholars believe that Peter was crucified sometime between AD 64 and 68. In the first part of our study on Peter we noted how Jesus formed Peter’s character for the purpose of mission. In this part we’ll look at the mission itself – the focus of what it is we do as Christians. Personality: Extroverted, brusk, abrasive, loud, enthusiastic, impulsive, resolute, eager, bold, aggressive and outspoken. Peter is noted for being somewhat brash. He was quick to speak and share an opinion. He was quick to act and sometimes slow to think. He was susceptible to external influences and intimidated at times. But Peter really did love Jesus.